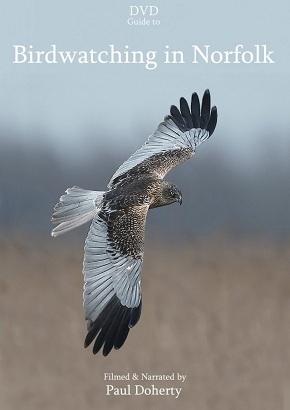 This DVD features one site for each month of the year and it shows a typical birdwatching day at that time of the year and the birds you might see - see below for a full list of sites. A wide range of species are featured and include such exciting birds as Bittern, Marsh and Hen Harriers, Honey Buzzard, Common Crane, 29 species of waders, 14 species of warblers and some real rarities such as Pallid Harrier and White-crowned Sparrow. An added bonus is the inclusion of various mammals, butterflies and dragonflies, plus of course some of those unforgettable Norfolk landscapes.